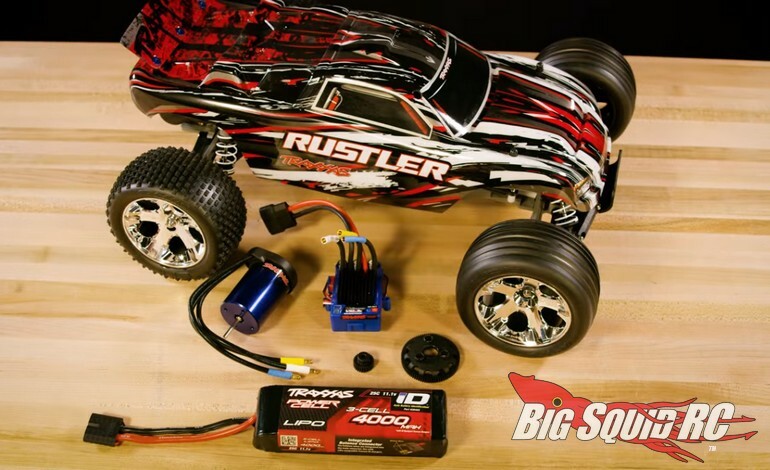 Video – How to Go Faster With The Traxxas Rustler « Big Squid RC – RC Car and Truck News, Reviews, Videos, and More! Recently uploaded by Traxxas is a new video called How to Go Faster With The Rustler Stadium Truck. The video takes you through the steps that it takes to install different gearing, as well as how to install a new VXL brushless power system. With taller gearing and a whole lot more power under the hood, it is easy to turn your Rustler into a serious speed machine. After watching the video below, you can hit up this link for full Rustler Stadium Truck details, or you can Click Right Here to read more Traxxas news on BigSquidRC.